Keep small change safe and handy using the Zippered Coin Pouch. Imprint your company’s logo on this coin pouch to boost brand recognition. 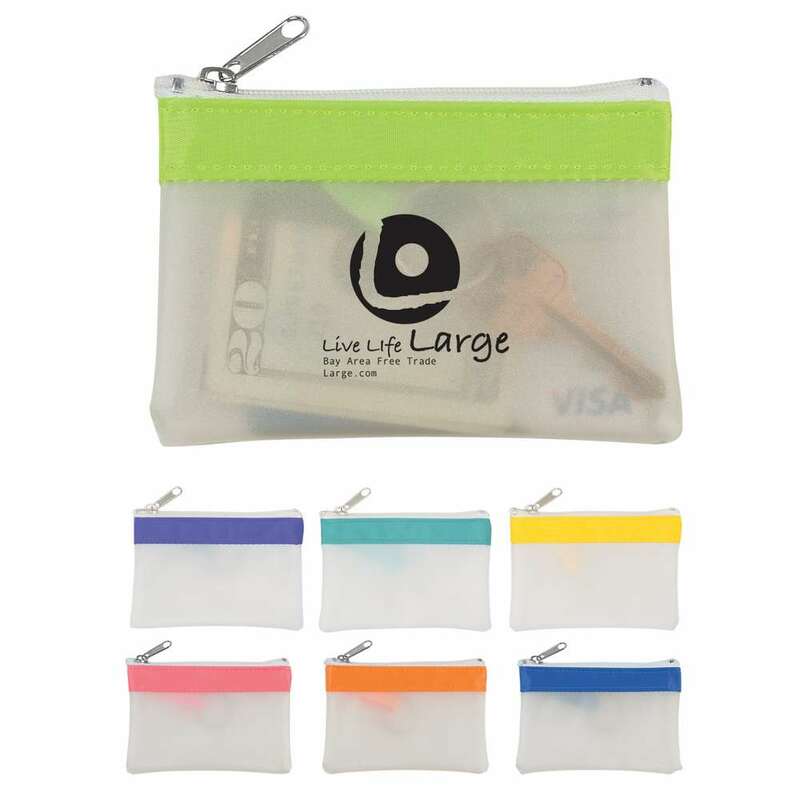 Keep small change safe and handy using the Zippered Coin Pouch. Imprint your company’s logo on this coin pouch to boost brand recognition. Its zippered compartment secures your money and its compact size easily fits in your bags. The pouch is available in frost: white with royal blue, pink, lime green, teal, yellow, purple, or orange trim. It makes an excellent give away at trade fairs, carnivals, and community events and goes a long way in multiplying your brand’s success. Minimum number of items in each order: 100 items. Click on the location(s) where you want your pad printed logo to appear.